Participating in Paperless Prof Day can help you and your students come up with creative ideas for teaching and learning that use less paper. 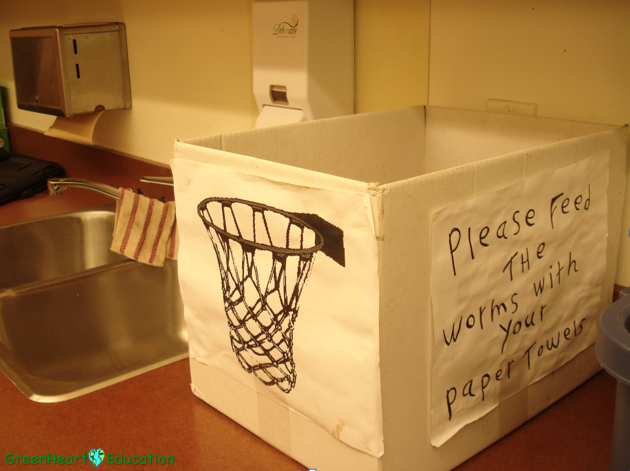 Hold a regular Paperless Prof Day in your classroom and track how much paper your class saves. Paper gets special treatment in [our initiative] because it is the recyclable material most prevalent on school campuses. We use paper for textbooks, notebooks, worksheets, scratch paper, art projects, library books, flyers to parents, internal communication, and for some, paper airplanes! Paper on school campuses isn't going away; it's a valuable commodity and serves its purpose. Because paper is so important and valuable to the way we do business, it is critical to use it with respect, so that we can teach children how to manage paper consumption responsibly. What is a "Paperless Prof Day"? Paperless Prof Day is a fun way to learn about paper and paper conservation with your students, and a good way to kickstart and implement a paper reduction campaign. Why do paper choices matter? To me, doing all my teaching using only "technology" would be no better than using only paper. Young people need a range of different learning experiences and modalities, and they shouldn't all be mediated by a two-dimensional screen. 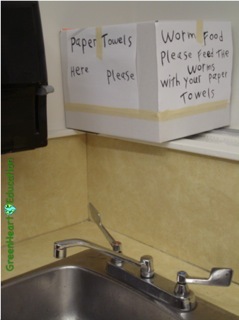 I hope that any paper-free classrooms in the world are filled with living plants and garden boxes, at the very least. Technology provides a set of tools, but it's not the only set, nor should it be the only set that students experience and are taught to value. Modern communication technologies are exciting, I'll admit it. But what are we getting our students to communicate? Using modern technologies for writing can be a boon, especially for students with dysgraphia. But the question still remains, what are we encouraging our students to write? What I'm trying to say is that technology is not the teacher. We still need to be vigilant and professional in our use of technology in the classroom. If we want students to preserve something wonderful that they've written, for example, printing it on paper might be the better choice. Evan Angler said, "In an age of infinite digital documentation, paper was the last safe place for secrets." Another variable in the "saving trees" argument is the fact that we need a continuous infusion of virgin fiber (new trees) in the paper supply. If you took a piece of virgin paper, and kept recycling it for reuse, you could only do that about nine times before the fibers would become too short to hold together in the form of a piece of paper. The truth is, unless our society becomes completely paperless, we cannot discontinue using trees for paper products through mere recycling. 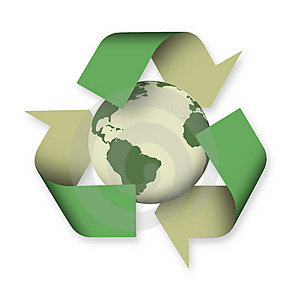 Still, if we must use paper, then we should buy recycled-content paper, and recycle all the paper we can. Math fits perfectly with Paperless Prof Day. Students can work on all sorts of calculations, data management, statistics, graphing, measuring (length, height, distance). Here are some of the numbers your students can research. See an example of this kind of math, calculated for a school I used to work in, below. Our school used approximately 50,000 sheets of 8.5 inches (8.5 cm) x 11 inches (28 cm) paper every week x 44 weeks = 2,200,000 sheets. It used approximately 2,000 sheets of 11 inch (28 cm) x 17" (43 cm) paper every week x 44 weeks = 88,000 sheets. This comes out to 2,280,000 sheets of paper per year, which works out to 1500 sheets of paper per person at our school. This is equivalent to 3 reams (500 sheets in a ream) per person. This is also equivalent to approximately 29 trees. * Remember that this number is extremely difficult to estimate, as trees come in all different shapes and sizes. Let's do some math: 2,640,000/500 = 5280 reams of paper. Each ream of paper is 5 cm tall (about 2 inches). 5280 x 5 cm = 26,400 cm = 264 metres (866 feet). To put this into perspective, 264 m is almost half the height of Toronto's CN Tower, which is 553 m (1,814 feet) tall, one of the tallest structures in the world! *On average, one tree can produce 90,000 sheets of paper.